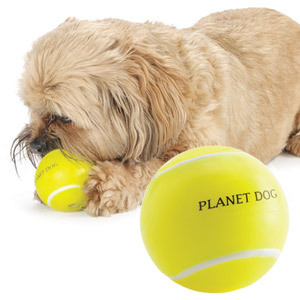 Real tennis balls can be abrasive to your dog's teeth and are easily destroyed. 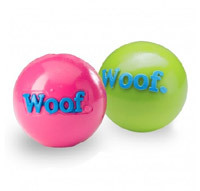 Try this Orbee-Tuff tennis ball designed especially for dogs. 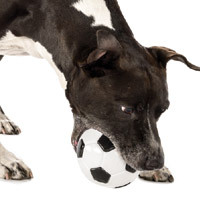 The surface won't damage your dog's teeth and with a chew rating of 5 out of 5, it can't be destroyed. If your dog does see it off, we'll see you right. That's the Planet Dog guarantee. 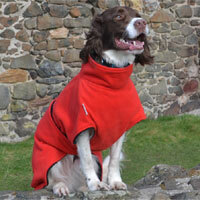 Made of the award-winning Orbee-Tuff compound, it is durable and so much fun. Your dog will love it more than the original. 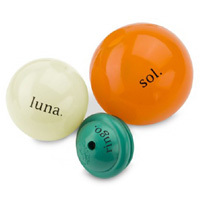 Bouncy, light and standard ball launcher compatible. It is also mint-scented to make it even more irresistible and it floats too. 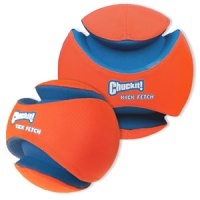 Each toy has a special Orbee-Tuff durability rating called the Chew-o-meter. 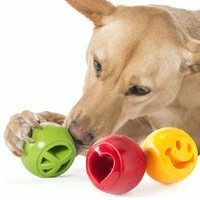 This toy is rated 5 out of 5 Chompers and can therefore withstand even the toughest of chewers. Planet Dog offer the best guarantee: If it is chewed, return it. If it is destroyed, return it. If it doesn’t fit, return it. If the dog doesn’t like it, return it. If you or your dog are not 100% satisfied for any reason, return it. Any time. Every time.